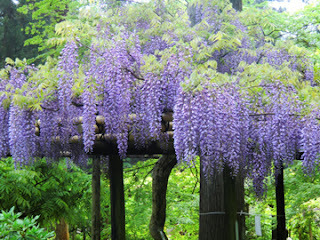 These Wisteria shrubs are blooming nicely and the color of the irises is very intense. Lovely photos! I heard that the time of bloom here is behind this year ,because of unseasonable weather.Now is their best bloom,I heard. 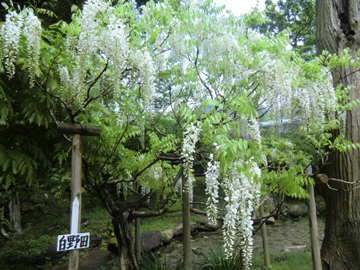 Byoudou-in(Kyoto) is also famous for the wisteria,but I heard that they don't bloom yet,because of bad weather. 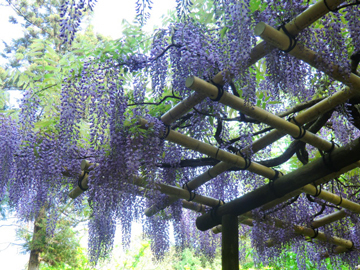 Yes,light purple is often seen in Japan,but there is also a white one,I love it. I like the sweet smell of wisteria. 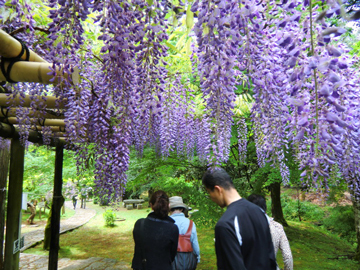 Your pictures of the Wisteria are absolutely stunning! 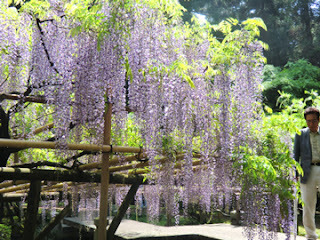 I love the different shades of lavender and Wisteria's sweet smell. 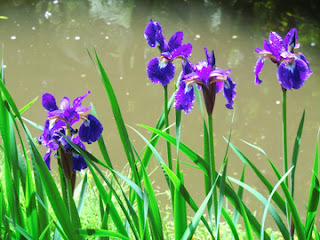 The BLUE color of the IRIS' is beautiful also. I will check out the link to youtube too! 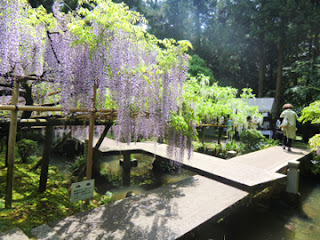 Thanks for sharing these lovely places you visit in Japan. I'm happy if you like these wisteria and iris. Yes,I love this deep blue color of the iris,too! 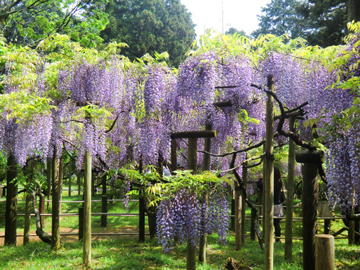 Is it wisteria season in your city,too? 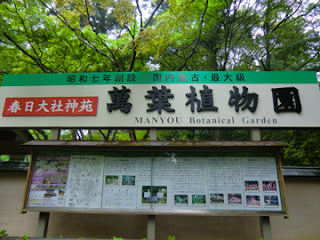 In May? I'm very beginner of YouTube..I'm happy if you like it. I'm glad we can share these pics. 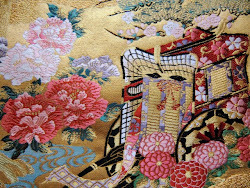 Hope you'll have a wonderful day! !